Not everyone can become a rocket scientist, or can they? For many, software development can seem like rocket science; however, Intel's IoT Developer Program supports events like the recent 2016 NASA Space Apps Challenge to demonstrate the ease of development on IoT platforms. 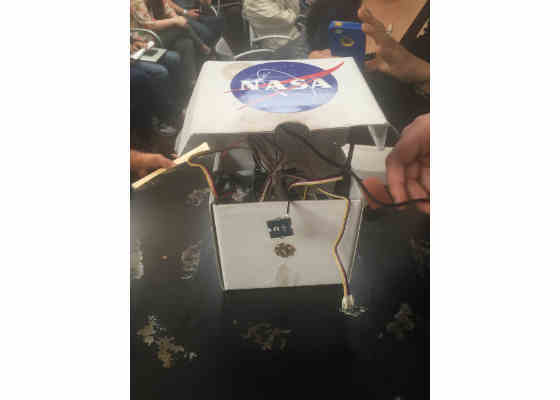 With the April 22-24 NASA Space Apps Challenge, held at venues worldwide, attendees at some locations were provided with the Intel® IoT Developer Kit containing everything needed to create innovative IoT projects and become highly engaged in the global developer community. A key focus in the Space Apps Challenge was Open Data. As a founding member of the Open Interconnect Consortium, Intel supports open ecosystems with a broad range of IoT products and solutions. This broader choice for developers within an open foundation adds unique value to the collective ecosystem. Roughly 20,000 participants at nearly 200 innovation sites around the globe. NASA presented a variety of challenges in six futuristic areas: Solar System, Earth, Technology, Space Station, Aeronautics, and Journey to Mars. Some sites hosted Women in Data Bootcamps. Strong spirit of innovation, learning, inclusiveness and diversity, and use of open data. Intel sponsored the Pasadena, CA. event together with Microsoft and CDW. Intel supported NASA Space Apps Challenge events in Boston, San Francisco, Seattle, Austin, and Pasadena by donating Intel® IoT Developer Kits and providing on-site technical mentors. At every location, the participating teams got a chance to demo their projects to a panel of judges and the attendees. Each panel crowned two demos as the winning ones for a chance to compete in the Global Challenge across all NASA Space Apps Challenge sites. In addition, the attendees at every site voted for their favorite demo for a chance to win the People’s Choice Award. Intel provided prizes and recognition at the supported locations for the “Best Use” of the Intel® Edison Board in their demo. Each NASA Space Apps Challenge site was unique and the event in Pasadena was no exception. Not only did this location have a 48-hour hackathon, but they also hosted a meetup on April 12 and a Women in Data Bootcamp on April 21. 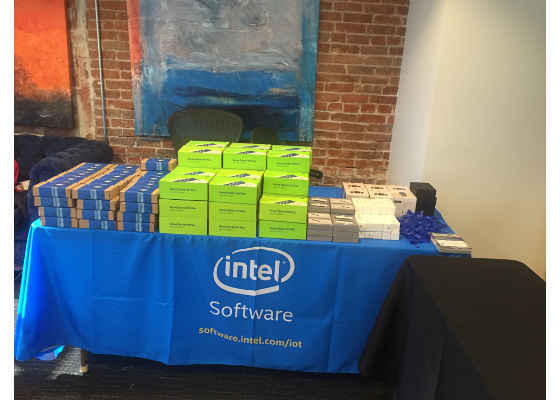 As part of the sponsorship, Intel’s Software and Services Group contributed 60 Intel® Edison development boards with Grove* sensor kits. Ajay Mungara, an Intel Senior Product Manager, participated in the meetup introducing the attendees to Intel's IoT Developer Kit, and inspired them by describing some innovative and interesting projects developed over the course of two days at other Intel sponsored hackathons conducted around the globe. The Women in Data Bootcamp, which preceded the hackathon, included a talk by Amber Huffman, newly-appointed Intel Fellow, on “Delivering Technology While Life Happens”. Amber spoke with over 100 young women as part of an effort to build confidence and skillsets to pursue careers in technology in preparation for the hackathon. The Women in Data Bootcamp encouraged young women to pursue technical careers and sharpen their skills in hackathons. Notable speakers included Renee Wynn, NASA CIO, Debra Diaz, NASA CTO, and Kiki Wolfkill, Head of Microsoft’s Halo Media Division. As part of Intel’s efforts within this event, Grace Metri, Community Evangelist for Intel’s IoT Developer Program, coached makers on building their projects using the Intel Edison board, sensor kits and harnessing the power of the Cloud. Grace’s presentation titled “Developing for the Earth and Beyond Using Intel® IoT Developer Kit” was well received. In addition to supporting hackers during the two-day NASA Space Apps challenge with the dev kits, Intel brought in an on-site crew as part of the developer initiation process with a focus on inspiring, supporting and encouraging teams to adopt the Intel Edison boards in development of their projects. In addition to Grace Metri, the crew included a “Rock Star Coder” – Ron Evans, Intel® Software Innovator. 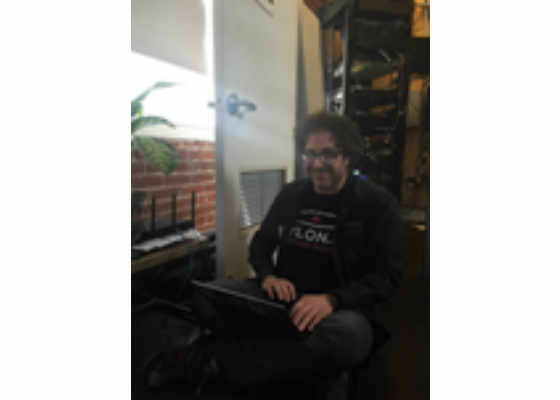 Also lending support was Cheston Contaoi, Product Manager on Intel’s IoT Developer Program team. The hackathon was truly inspiring to everyone involved including attendees, participants, and mentors alike. Seventeen projects were demonstrated all displaying a high level of creativity and innovation. Intel’s Sales and Marketing Group NASA Account Executive, Rob Lalumondier, was on the NASA judging panel along with Renee Wynn, NASA CIO, and Tom Soderstrom, NASA’s Jet Propulsion Lab CTO. Both of the winning demos that will be taking part in the Global Challenge, plus the People’s Choice winning demo incorporated the Intel® IoT Developer Kit in their projects. 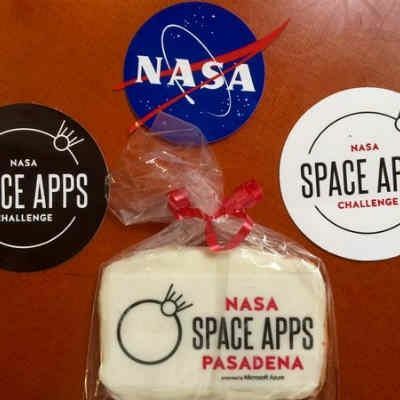 The first place winner at this year’s NASA Space Apps Challenge in Pasadena was a project called “Scintilla”. This project was designed by Chelsea Graf, Chris Del Guercio, Eric Gustafson, Konrad Ludwig and Kyle Spitznagel with the idea of “democratizing air quality data”. 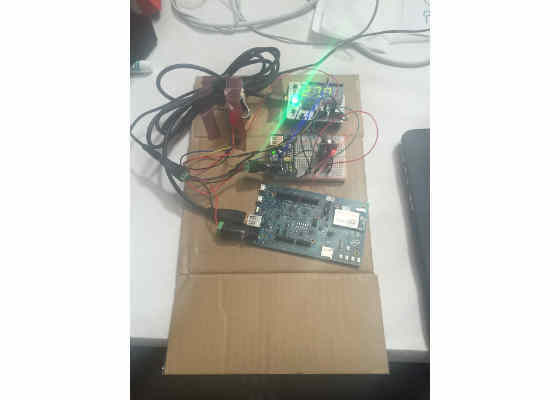 By using the Intel Edison board and air quality sensors, they could build a network of monitoring stations and utilize social media and fitness tracker delivery methods to warn citizens of poor air quality. The designers hopes were that a change of lifestyle could positively impact personal health aspects and create additional synergy between humans and the environment. The second place winner was Team Stardust with their Jarvis Sensor System built using the Intel Edison board. Their goal was to monitor dust levels in real-time and through Microsoft* Azure they could monitor data to help prevent contamination of items going into space. received the stamp of approval by the kids present on site. Intel’s support to the developer community is not limited to the 2016 NASA Space Apps Challenge. Intel also sponsors roadshows, hackathons, and many other events all over the world. It is easy to get involved, and you don’t even need to know how to code, as there are many ways to be productive as a part of a team with a common goal. Check out the Intel® Software Developer zone for IoT to find out more about Intel’s efforts in IoT around the world. Intel’s IoT Developer Program is a comprehensive program for makers, hobbyists, and professional developers offering knowledge, tools, dev kits and a community of experts to easily turn your innovative ideas into IoT solutions.